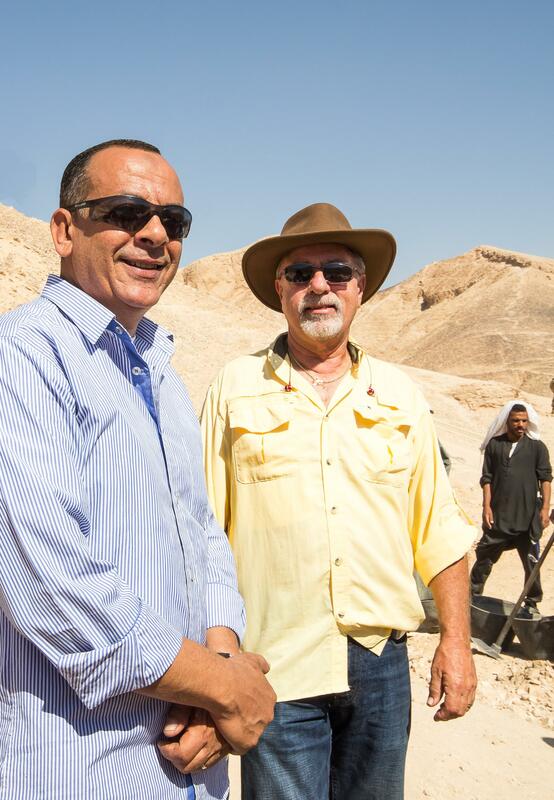 ​​​Egyptian Archeologists Dr. Mostafa Waziri and Salah Elmasekh will visit Southern California this month to reveal the latest important archaeological discoveries in a public forum to be held at the Bowers Museum on October 23, 2016. Included in the topics will be the recently-unearthed ancient Roman winery and baths, a new prayer Temple, the Avenue of Sphinxes, and current news about the search for Queen Nefertiti behind King Tut's tomb. In 2011, the Egyptian Revolution caused not only a serious upheaval in the Egyptian Government but it also nearly ceased the 100-year constant flow of information garnered from new excavations of ancient Pharaonic tombs. 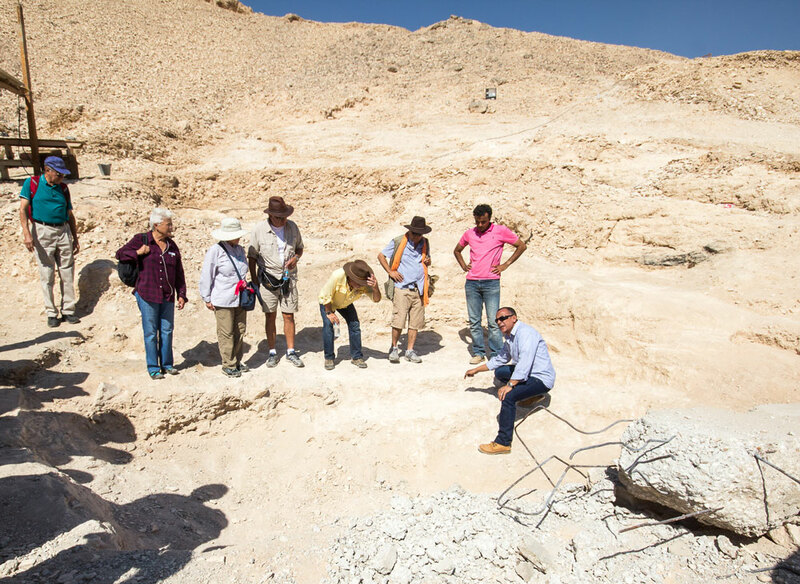 The Egyptian Department of Antiquities has used this time to quietly continue its excavations of ancient sites, and is now ready to release an extensive list of these hard-earned discoveries. Dr. Waziri, the Egyptian Director General of Luxor Antiquities, oversees all archaeological projects in both the Luxor area and in the Valley of the Kings area just across the Nile River. 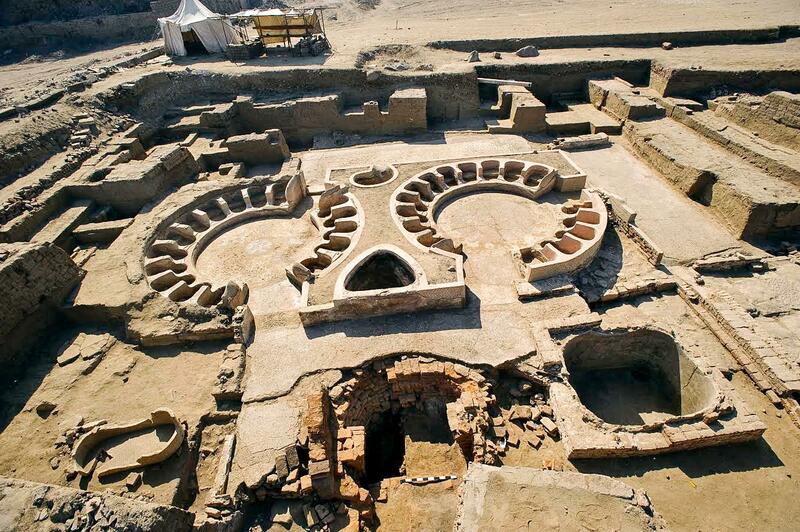 Behind the Temple of Karnak in Luxor, Waziri's teams have discovered a new Temple. In it, an immense statue of Ramses II (aka Ramses the Great) has been unearthed. In this place, the god Amun Re is called "The One Who Hears Petitions [Prayers]." This new site, which opened to the public just two short weeks ago, has already received thousands of curious and excited visitors. 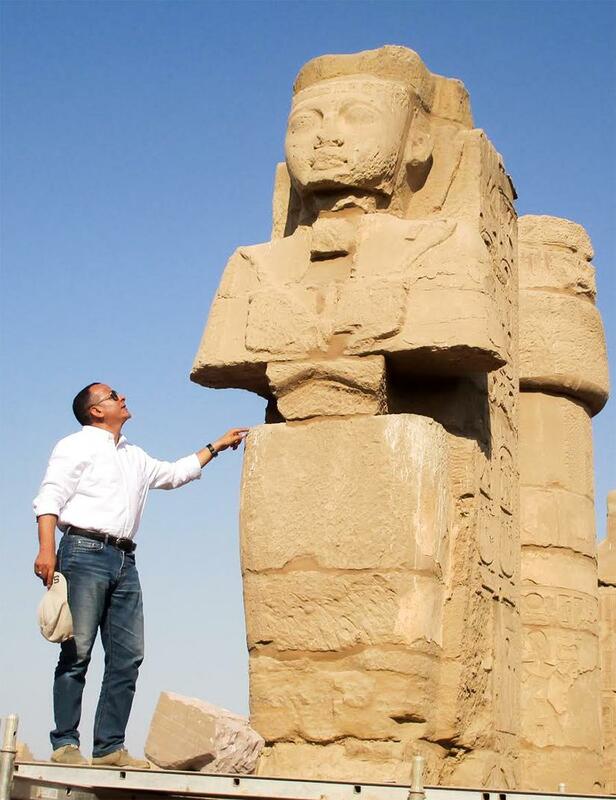 "It inspires me to see both Egyptians and foreigners alike leave this new site with such awe and excitement," stated Waziri in a recent conversation with American visitors. "It seems that, after all of the bad news in the world, Egypt remains safe for those who want to visit and to see for themselves the wonderful things that are being discovered here." Lying just beyond the East wall of Karnak, the largest Temple ever made, this new site is pouring forth with layers of evidence that are furthering our knowledge of how the Ancients lived and worshiped. 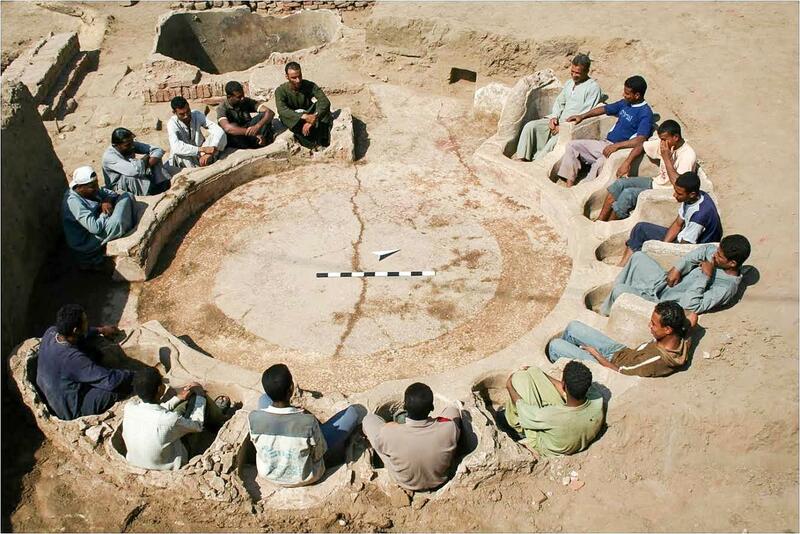 Another recent discovery, managed by the reticent Salah Elmasekh, has been unearthed in front of the Karnak Temple. These new ruins were left behind by the Romans, who freely built their sites atop the layers of pre-existing ancient Egyptian ruins. Included in the site is an ancient Roman winery that sheds light on the importance of this fermented elixir to the Roman civilization. "People, especially Californians, are very interested in the topic of wine," said Elmasekh. "But what is really peaking their interests are the beautiful and detailed Roman Baths that we have found. These Baths teach us more about how the Romans spent their free time - their social time," he added. The visual uniqueness of these baths is attracting attention from photographers around the world. After the first public releases of the photos of this site, camera buffs are traveling to Luxor to be among the first to capture the images of this picturesque bath site. Decades ago, a row of Sphinxes was found outside of the entrance to the ancient Temple of Karnak. Approximately 1.7 miles away, a separate row of Sphinxes was unearthed outside of the ancient Temple of Luxor. Modern neighborhoods in the sprawling city of Luxor lay between these two locations. Evidence was found that hinted the possibility that these rows were much longer than previously anticipated. This growing mound of evidence was enough to convince the government to relocate these neighborhoods and continue the excavation into whatever direction it took. Hundreds of these nearly-identical statues have now been uncovered to reveal a solid row of Sphinxes that line both sides of an ancient road that connects these two major Temple sites. This remarkable site can be seen from the satellite images on Google Earthtm. 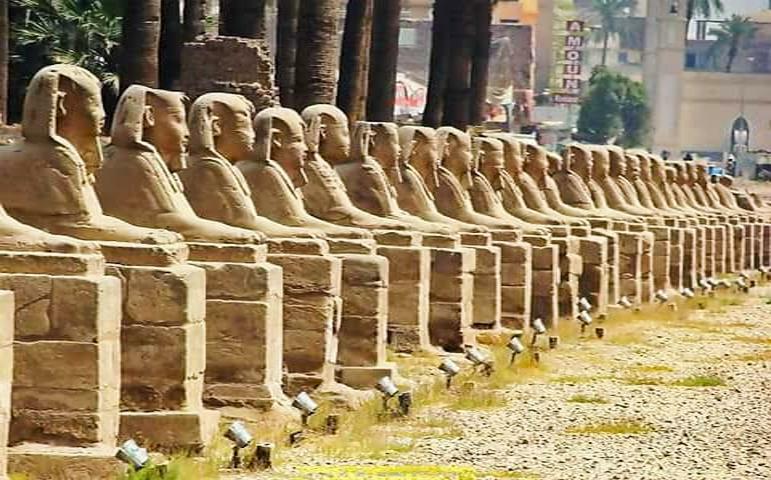 Current and future plans for the city of Luxor and the Egyptian Department of Antiquities include the creation of a promenade where visitors can "walk like an Egyptian" along this Avenue of the Sphinxes while experiencing the lives of the people who took this same walk over 2,300 years ago. For nearly two years, the debate about whether or not the remains of Queen Nefertiti are hidden behind a wall of King Tut's tomb has gone viral. Dr. Waziri, who is in charge of this project, will speak about the latest behind-the-scenes issues facing this unexpectedly hot topic. Some archaeologists believe Queen Nefertiti, Tut's mother, is hidden behind a wall in the tomb discovered by Howard Carter in 1922. Some feel that not only is there no evidence to prove this (to date), but they also question why Nefertiti would be entombed in a place other than with her husband (Tut's father) King Akhenaten in the city of Amarna. Still others, in their ongoing concern about the preservation of the site, advocate the importance of answering these questions only if this can be done without creating any damage to this beautiful ancient treasure.